More than 7 in 10 (71%) British adults aged 16-75 say they have shopped online within the last three months. This level of e-commerce has led in part to a marked decline in the number of journeys being made to the shops by car. While two thirds (66%) of adults say they use a personal vehicle to go in-store shopping at least once a week, more than one in six adults (17%) are now making less shopping trips in a personal vehicle than a year ago. The trends are revealed in survey data from Ipsos MORI who were commissioned by the RAC Foundation to investigate online shopping habits. Two in five adults (41%) say they buy their groceries online at least once a month. More than four in five (83%) say they have used the internet at least once to buy clothing, footwear, books, CDs or DVDs. Almost four in five adults (79%) say they have bought electronics online, while for household appliances and furniture it is three quarters (74%) of adults. In 2015 an estimated 33.5 million British adults2 did some or all of their Christmas gift buying online, and one in six adults (17%) say they will buy more presents online this Christmas than they did last year. Younger adults are more likely to shop online than their older counterparts. 69% of 16-24 year olds shop online at least once a month compared to 52% of those aged 45-54 and 46% aged 55-75. According to the Department for Transport, van traffic has increased 70% over the past twenty years compared with 17% for all traffic. “Online shopping hasn’t quite become the norm, but most adults have now given it a go with many using it as the default option. “The big question is what does this mean for traffic volumes? We know that increases in van traffic have far outpaced the more general growth in vehicle mileage. But why? Is this down to more home deliveries? Or something completely different, perhaps a rise in the number of small businesses that are starting up and are based not in an office but in the driving seat of a van? The RAC Foundation commissioned Ipsos MORI to carry out a survey as part of its online omnibus between 28 October and 1 November 2016. A nationally representative quota sample of 2,153 adults aged 16-75 was interviewed. Data have been weighted to the known offline population profile. 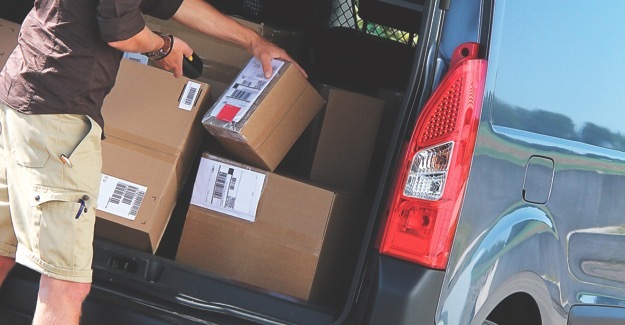 749 adults reported they use click and collect methods – Collection in store or Collection from another collection point – to receive goods ordered online. 371 adults reported that they are making less trips in a personal vehicle to go shopping compared to 12 months ago. 1 This estimate is a calculation done for the RAC Foundation by LCP Consulting who the Foundation has commissioned to carry our research into the growth in van traffic. The rest of the online shopping habit trend data is sourced from Ipsos MORI. 2 Based on Eurostat population estimates and 95% confidence intervals of +/- 2%, we estimate that this is equivalent to 32.5m – 34.3m adults aged 16-75. The figure for the proportion of British adults aged 16-75 who have shopped online in the last three months comes from an Ipsos MORI face-to-face survey carried out between 15th August and 29th September 2016. A sample of 3,603 adults aged 16-75 was interviewed using a random locale sampling method. Date have been weighted to the known population profile.